Need some good upcycling ideas? 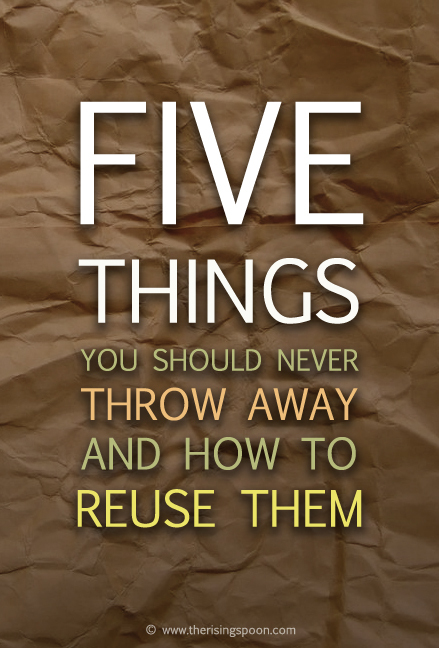 Learn how to repurpose five common household items you might be chucking in the trash. These small eco-friendly changes will help you save money, benefit the environment, and feel better about yourself! Today I'm deviating slightly from my normal food and recipe-focused posts. 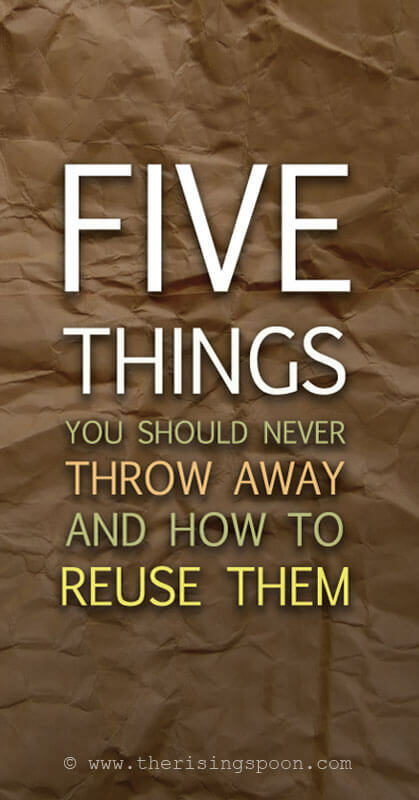 Instead, I'd like to point out a few everyday items you might be chucking in the trash and show you how to re-use, recycle, upcycle, or re-purpose these same items. By scraps, I mean what's leftover after you've used a food product or prepped it for cooking. I'm specifically referencing fresh, vegetarian foods. Not meat. Throw that away, save it for homemade stock, or put it down the disposal (sans the bones). For the vast majority of these scraps, I recommend an array of composting alternatives (bags, buckets, bins, tumblers, etc.) that can transform the food bits into nutrient dense plant food, which you can then use in your garden. However, I'd like to discuss a few foods that you can use in ways other than composting. When you're done squeezing the juices out of a lemon and lime or peeling an orange, don't throw the scraps away. Instead, toss the peels down the kitchen sink. The next time you run the disposer, the oils and juices from the peels will make your sink/small area around your sink smell wonderful! Or, if you're super clever & thrifty, you can save those fruit peels and use them to make an all-purpose citrus cleaner with distilled white vinegar. These cleaners are inexpensive, all-natural and great for DIY holiday gifts! Talk about making the most with what you have! I can't wait to try it. I'm currently saving orange and lemon peels to use in the next month or so. If you're like me, you go through several onions a week. I'm always adding fresh onion to salad, pasta, roasted vegetables, tuna cakes, slow cooker chicken, soup, and more! Every time you use an onion, you're slicing off the two ends and likely several layers past the paper peel. Don't throw those bits away! Cut off the small root ends, dispose of only the paper peel, but keep the rest. 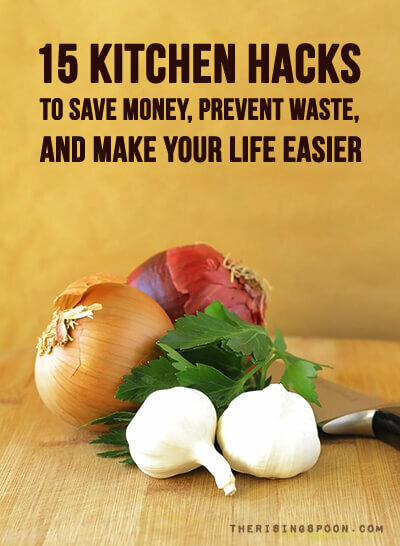 Store those onion bits in a freezer bag. Every time you cut an onion, add to the bag. Do the same thing every time you use carrots or celery. Eventually, you'll have enough scraps to flavor a meat stock or to make a vegetable stock for soup without having to buy fresh ingredients! When you roast meats like chicken, beef, turkey or pork in the oven, do you throw the bones away after you're done eating? Don't! Save and freeze the bones, just like vegetable scraps, for making a homemade chicken stock. If you've ever eaten fresh, made-from-scratch soup, you know it's loads better than the canned stuff. But did you know it's way less expensive, as well? Store-bought stock costs $2-4 a container and you need 2-3 of them just to make one batch of soup. Plus, they're over-loaded with sodium. Instead, save roasted bones over time and eventually you'll have enough to make a meat stock. Simmer the bones for several hours with a few bay leaves, spices, and vegetable scraps and it will yield a rich, flavorful stock great for soups, sauces, casseroles, etc. 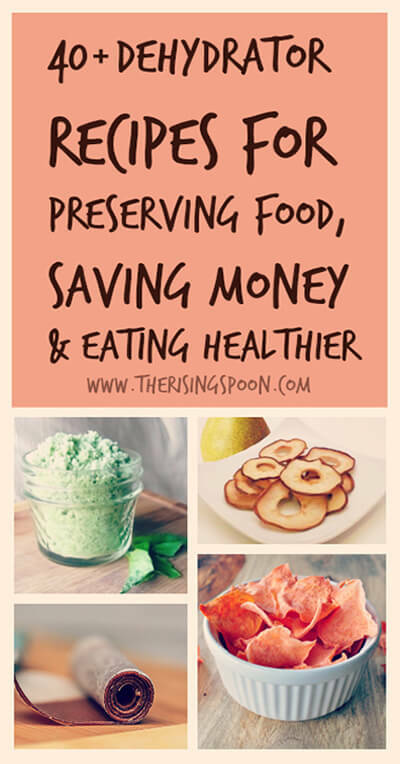 The homemade version is much healthier on your body and wallet. 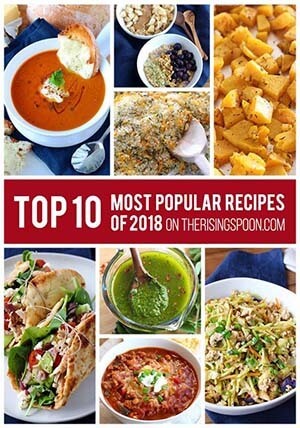 Salsas, jams, peanut butter, etc. all come in glass jars with tightly fitted lids. Don't throw these away when you've finished the food. Instead, wash them out thoroughly then run the jars through a hot dishwasher cycle to sanitize. Now, you have sets of sturdy jars that are perfect for dry goods, homemade salad dressings (like ranch dressing and blue cheese dressing), drinking glasses, and storage for leftovers. The tight-fitting lids keep things fresh longer, but since the original seal is broken, they're obviously not suitable for canning or preserving foods. Alternately, you can upcycle them by positioning all your varying sized jars together and fill with small, fresh flowers for a wonderful, eclectic arrangement. Just like glass jars, most plastic food containers come with a snap-lock lid that are perfect for storage. So, skip buying zip-lock or Tupperware, when you can simply wash, sanitize and reuse cottage cheese, sour cream, and butter containers for meal leftovers. Or, use these containers to store crafts or office supplies and hold turpentine or water for painting. Paint the outside and use as a makeshift vase for fresh flowers. Assemble bandages, tweezers, gauze, q-tips and triple-antibiotic ointment into the container, then label it clearly for a homemade, portable first-aid kit. First, I should say that real cork is 100% recyclable and sustainable. Cork bark is extracted from a tree during specifics months of the year when it does little damage to the tree. This way, the bark grows back and can be re-harvested. So, even if you don't want to repurpose your corks, keep 'em and many liquor stores and whole food markets have recycle bins where you can dispose of them. Second, there are LOTS of fun things to do with wine corks (even if they're not the real ones). For starters, try cutting wine corks in half lengthwise and gluing them to cardboard squares to use as coasters or heating pads. Or, glue a magnet to the back of several halved corks for a wine themed fridge decoration. Keep your growing collection of corks in a large glass container or pitcher for display. Unless you bring your own bags or request paper at grocery stores, you'll likely go home after every shopping excursion with 4-8+ plastic bags. Grocery stores push the plastic because it's cheaper for them than paper bags. At least, that's what an employee at Central Market told me not too long ago. That said, they build up quickly if you save them, but you should! Don't throw them away. First, huge boxes are cropping up in front of grocery stores where you can recycle the bags. Second, you can get at least one more use out of them before you recycle them. Try lining your small trash cans (like bathrooms or bedrooms) with these bags. 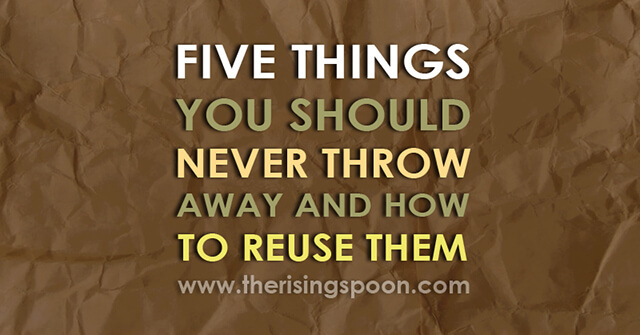 As long as nothing liquidy or gross get on them, you can reuse them several times and save on trash bags. You can also repurpose them to line flower or produce baskets. Check out this DIY Upcycled Flower Basket Planters tutorial for step by step instructions. If you have a cat, use a plastic bag when you clean out the litter box. Scoop, dump and tie. Voila! I can attest to this one, my sister and I used this method bi-weekly. Use the bags to hold wet items like swimsuits, towels, or dirty shoes. Save on packing peanuts or bubble wrap and use plastic bags as stuffing for mailing packages. If you're a creative type, make your own bean bag and use plastic grocery sacks as the stuffing. I've read that shredded foam or peanuts are very expensive. Or, cut the bags into strips and crochet them into a purse, hat, or toy. What's your favorite household item to reuse? 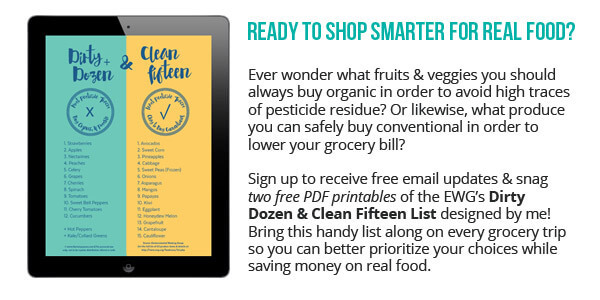 You can also sign up for my weekly newsletter and snag two free printable PDFs of the Dirty Dozen & Clean Fifteen List! 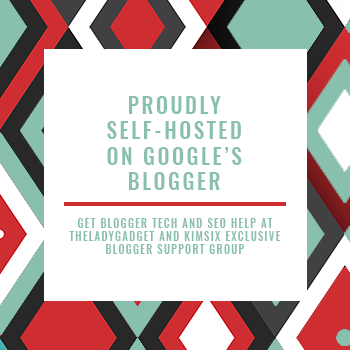 PAID ENDORSEMENT DISCLOSURE: In order for me to support my blogging activities, I may receive monetary compensation or other types of remuneration for my endorsement, recommendation, testimonial and/or link to any products or services from this blog. However, I ONLY recommend helpful products that I myself would use. And I'm really picky about what I share with you guys. Because I myself am super choosy about what I buy and consume. 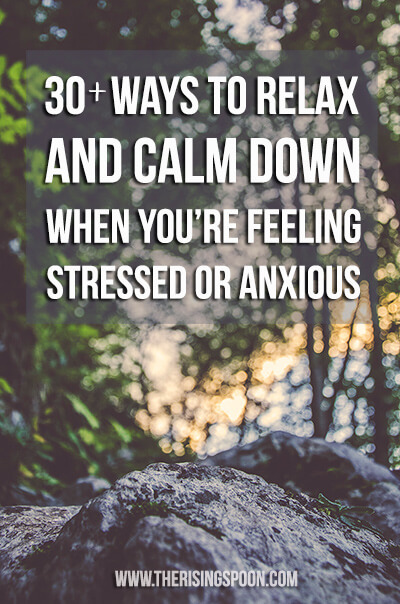 Recommending products that I love or want to own helps me cover the costs of running this blog and keep providing you with free, helpful information. And it costs nothing extra for you. Thanks! better not to accept single use plastic bags in the first place. True, if you can avoid plastic by bringing your own bags, the grocery store will usually give you a 5 or 10 cent discount per bag (as an incentive). However, for those times when you don't have a reusable bag with you and you're grocery shopping at a store that doesn't provide paper bags, these ideas are good to know! Thanks for the feedback. My city (Carpinteria, CA) banned single-use plastic bags (also styrofoam). Restaurants and small shops can still use paper bags if they want. The grocery stores have neither, you have to bring in / buy a reusable bag or if you buy a certain amount of items / spend a certain amount they give you some cheap reusable bags for free. I love it, and pretty much everyone gets used to it. They also recently passed a law to ban them in Austin, TX. I don't live there but hope it also transitions to my neck of the woods.